Patch Kidz Clubz - a fun Children's program is offered each Wednesday evening from 7:00 to 8:00. Kids ages 4-11 have opportunities to learn about God at work - in their own lives as well as in the world - through stories, songs and games. Kids get to have a great time, make life-long friends and learn valuable spiritual lessons all at the same time! 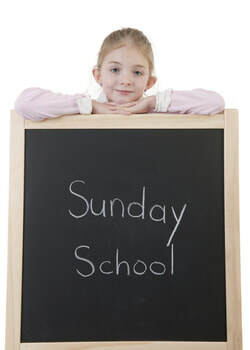 ​Sunday School Classes are offered for children ages four and older. Children’s classes are systematically taught so that our students experience in-depth teaching at age-appropriate levels over a wide range of material. Normally, by the time they are finished with sixth grade, our children have made their way through the entire Bible. Junior Church is provided for children fifth grade and under. We meet during the morning message. Parents love it because their kids love it - they're excited about coming to church! Kids love it because the stories are exciting and relevant. We always give them ways to apply God's Word to their lives. By the time our kids graduate out of Junior Church, they've learned how to sit in a service and get something out of the messages; that's a life-long benefit!